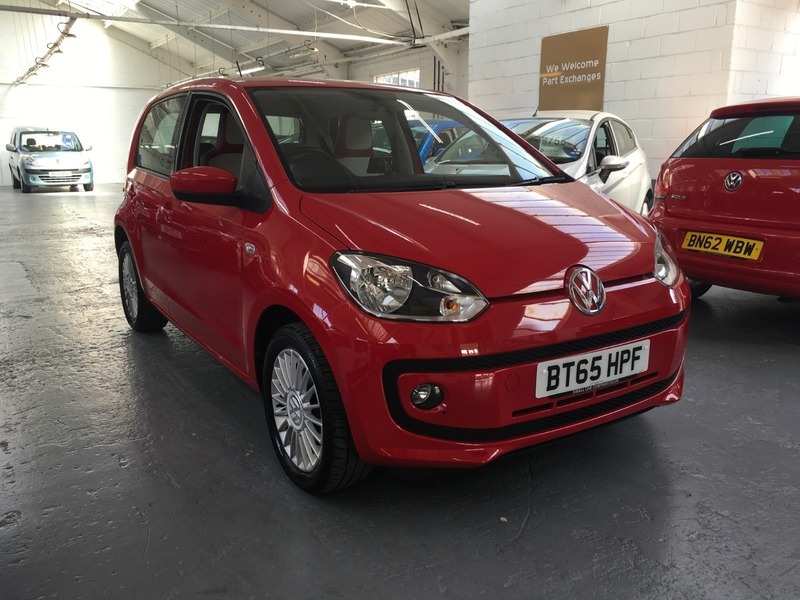 IF YOU'RE LOOKING FOR A QUALITY SMALL CAR BRISTLING WITH TECH THEN THIS LOW MILEAGE, ONE OWNER UP COULD BE FOR YOU!! ITS FINISHED IN RED WITH MATCHING CREAM AND RED INTERIOR AND IS IN FABULOUS CONDITION. FITTED WITH SATELLITE NAVIGATION, DAB RADIO, BLUETOOTH, HEATED SEATS, AIR CONDITIONING AND OF COURSE THE VW BUILD QUALITY COMES AS STANDARD!! PLUS ITS ONLY £20 ROAD TAX! !